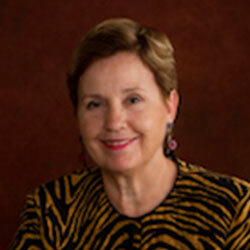 Beth Jarman is a founding partner of Leadership 2000, Inc. Her strong academic and organizational interests have provided her with in-depth knowledge and understanding of what leads to the acceptance of organizational and cultural change. She has a Bachelor’s and Master’s degree in history and a Ph.D. in The Cultural Foundations of Education. Dr. Jarman’s diverse background includes eight years as an educator at both the high school and university level. She was also elected to the Utah legislature and had the unprecedented honor of serving two Governors as the Executive Director of the Department of Commerce in both Utah and Arizona. She has broad and extensive background in business as the President of a community planning and development corporation, the first Chairwoman of the very successful Utah Housing Finance Agency, and a board member of a number of corporations. Beth Jarman’s broad-based experience in education, government and business along with her excellent academic background have provided her with unique insights about how organizations and individuals both embrace and resist change. She has written a number of articles and books. Her first book, “You Can Change your Life by Changing Your Mind” was followed by” Breakpoint and Beyond, Mastering the Future Today” co-authored with Dr. George Land and published by Harper Collins. Breakpoint provides new rules for success in an era of turbulent and unpredictable change. Dr. Jarman has received numerous honors and awards, among them recognition for her Outstanding Contribution as a Legislator, commendation for her excellence as a Social Studies teacher, an Outstanding Achievement Award from the American Women in Radio and Television, an Outstanding Women’s award from the Y.W.C.A. and a listing in Who’s Who of American Women. Her listings also include Who’s Who in America and Who’s Who in the World.